Discharging Stations – Oktomat® SOS – Foremost Machine Builders, Inc.
OKTOMAT SOS® are Discharging Stations for removing material from big bulk bags, gaylord boxes, super sacks or any similiar container. It can do so without the assistance of an operator and is maintenance free. 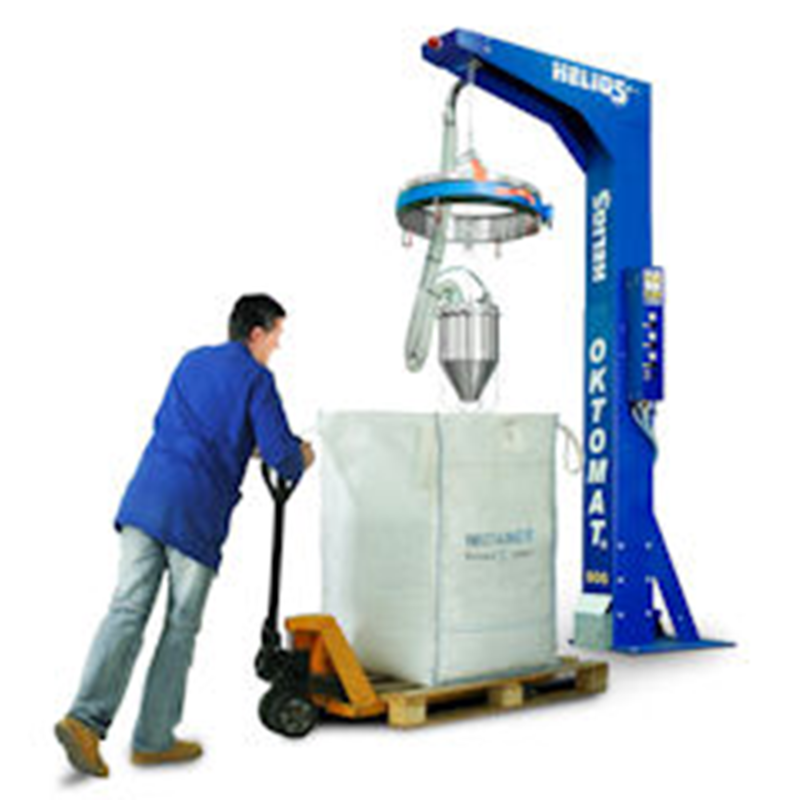 The bags or containers don’t need to be lifted into place, tilted or turned around. The container is typically moved to the OKTOMAT SOS® station using a pallet truck and then fastened to the discharge station. The conveying of material can be started automatically and without any down time in the conveying process. The bags will be completely emptied without leaving any residual materials in the bag.